Dharma Productions held a special press conference to celebrate 20 years of its modern day classic ‘Kuch Kuch Hota Hai’, with lead actors Shah Rukh Khan, Kajol and Rani Mukerji all making their presence felt. 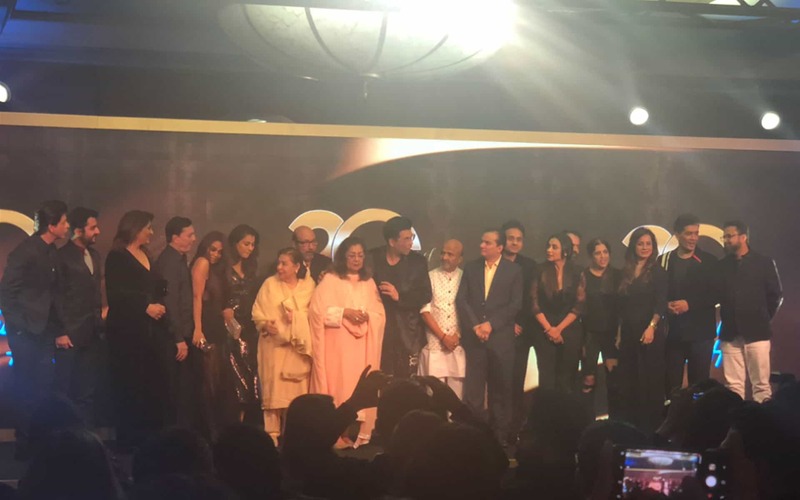 As well as the cast and team involved in the cult classic, other Dharma Productions devotees like Sidharth Malhotra, Janhvi Kapoor, Ananya Pandey, Tara Sutaria were also present. Other big names in attendance were Shweta Bachchan Nanda, Kareena Kapoor Khan. Twinkle Khanna, Sanjay Kapoor, Ishaan Khatter, director Zoya Akhtar and Dharma CEO, Apoorva Mehta. Previous articlePriyanka Chopra & Nick Jonas to tie the knot in early December?